I'd like to tell you a little something about my journey towards obtaining Hydraluron. I tried finding it on websites, that failed as it is exclusively sold in Boots. I tried getting it through people I know in the UK, that failed as they weren't allowed to ship it. I tried buying it on eBay at an extremely increased price, that failed because when someone started bidding over seventy euros I decided it couldn't be that good. And that's when I found out there was a Boots in my city. Cue me banging my head against the wall. 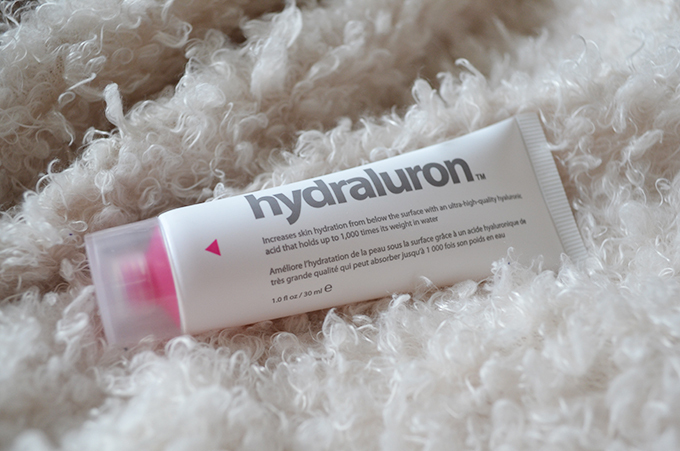 Long story short, Hydraluron is finally in my skincare basket, and it is love at first use. It feels so incredibly lush underneath my moisturizer, making my skin super soft. I promise to give you a full more detailed review after I have been using it for a while. For now I'll just stare lovingly at it until I can use it again tonight. I have this but I've only used it once but I enjoyed it!